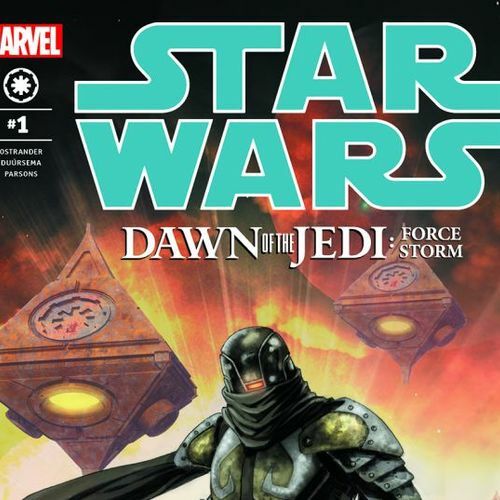 Krayt Dragon Films is proud to announce that we will be kicking off our first ever Star Wars Legend series with a bang with the legendary Star Wars: Dawn of the Jedi comic series! We have been producing comic dubs for over two year with great success and critical acclaim! Sufficient to say, we have mastered bringing to life comics over our near three year run on YouTube. We pride ourselves on our company's quality in both visuals, sound effects, music, and the most important part: the voice actors. All productions start with a highly detailed and descriptive casting call. Our typical policy is we don't cast actors until the last day of the call so everyone has plenty of time to audition. Our CC's typically last 2-3 weeks. At the end of the CC process, the Series Director and Casting Director sit down together and make the casting decisions based on a variety of factors such as audio quality, performance, vocal range, talent, etc. Once the casting decisions have been made, we send a link for a private Discord server where you will find your scripts, schedule meetings for live voice direction, and to just meet and mingle with your fellow castmates. The production time on all projects are airtight, all lines are due within seven days of the script's release to allow voice actors time to first takes and if requested, retakes. If a request is requested you will have three days after the retake request is made to redo your lines. From there it is up to the Director and Producer to bring to life the comic. Production time can range from a few days to a few weeks so please try to have your audio in as quickly as possible so production can begin. Rinse and repeat until the series is complete! The series is set in the Star Wars galaxy of 25,000 years before the rise of Darth Vader - before lightsabers, before hyperspace travel, before the Jedi spread throughout the galaxy when connections to the Force were new. 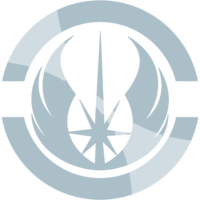 On the planet Tython, a group of beings - scientists, philosophers, and warriors - strive to maintain peace and balance with the mystifying power known as the Force. But a stranger is coming, one who will disrupt the balance with his arrival and his own connection to the Force. Everything in their system is about to change...the doors to the galaxy have been opened! Series Director and Producer: Caleb L.
Casting Director and Voice Coach: William C.
Ground rules before you audition. - Please make sure you can commit to the series and reprising your roles. The series is a rather lengthy one which will require you to reprise your role for close to a year. - Please be able to get your lines in the very same week you get the script. Production time will be airtight! - Have a professional grade equipment or at the bare minimum make sure your audio is top notch. No background noise! - Have a Discord or be able to create one. This allows for us to communicate and upload documents much easier than Skype or any other platform. We look forward to hearing your performances! Domineering, strong, booming, and imposing. Must steal the room’s attention when he speaks. Born within Infinite Space, Skal'nas was sensitive to the Force like the rest of his species. At some point, Skal'nas had become very ruthless, even by Rakata standards, adept at treachery and combat, and had a bad temper. Skal'nas became a member of the Infinite Empire, working his way up through the ranks through fighting and brutality, eventually gaining the title of Predor of the Infinite Empire. Skal'nas eventually became the superior to Predor Tul'kar and Sub-Predor Ceh'let, though Tul'kar resented Skal'nas' control over him. At some point, Tul'kar's Force Hound, Xesh, engaged in a duel with the Force Hound Trill, but saved her life when Xesh suggested giving Trill to Skal'nas as a gift, which Skal'nas accepted happily. - Skal'nas: "Enough! If there is to be a death match between them, protocol will be followed. And all of the Infinite Empire will watch!" - Skul'nas: "You, hound. You did not answer my question. Can this world be found?" We are looking for a sagely, wise, calm, and friendly voice for the character. 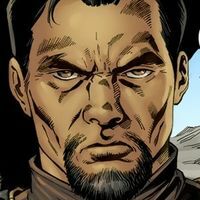 A Force-sensitive Human, Ketu was trained in the ways of the Force by the Je'daii Order on the planet Tython, one of nine planets in the Tython system which made up the Settled Worlds. Trained directly under Je'daii Master Rajivari, Ketu was appointed as a Je'daii Temple Master, the highest ranking members of the Order, in 25,805 BBY following the death of Master Telaat. Governing the Great Temple of Balance, Akar Kesh, Ketu carried no weapon and along with the other Temple Masters formed the Masters' Council, meeting via holo-communication within the massive Tho Yor at Akar Kesh. A teacher and adviser to Je'daii of all ages, Ketu resided within a chamber carved into the body of the great monolithic pillar which contained the Temple of Akar Kesh. Feel free to play with this voice. It can be bold, wise, etc. Just needs to stand out and sound like how you picture a narrator telling a Star Wars story would. - Narrator: "Our story begins a long, long time ago, on planets far, far away. Ten thousand year before our time." - Narrator: "On Manaan, Selkath scholars and scientists paused in their studies as the doors of the great Tho Yor opened." Tul'kar is a twisted warlord and constantly scheming. We are looking for a voice similar to Steven Blum's Starscream voice. A male Rakata, Tul'kar rose to the rank of Predor within the Infinite Empire well before the year 25,793 BBY. 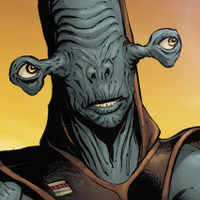 While surveying the slaves whom the Rakata used to power their machines, Tul'kar sensed great power in the Force within a young Human boy designated Xesh, and he freed the boy from the machines in order to train him as a Force Hound—Force-sensitive warriors whom the Infinite Empire used to locate Force-rich planets across the galaxy. Under Tul'kar's tutelage, Xesh became a powerful Force Hound, and during his training, Tul'kar pitted Xesh against one of his brood mates, a girl named Trill, for his amusement. Xesh emerged victorious in their fight as Tul'kar watched, and Tul'kar handed Xesh a Forcesaber—a Rakatan weapon—to kill the fallen Trill. However, Xesh instead proposed that Trill is given as a Force Hound to Skal'nas, Tul'kar's superior, and Tul'kar accepted the proposal in amusement. Sometime after this, a battle in the arena on the planet Byss was arranged between Xesh and Skal'nas's Force Hound Isk, and Tul'kar and Skal'nas made wagers on the outcome of the fight. Xesh ultimately emerged victoriously, and Tul'kar gloated over Xesh's victory and lack of mercy as Skal'nas ordered Isk to be prepared for their table. As Tul'kar's Force Hound, Xesh led his master to Force-rich worlds such as Sriluur, home of the Weequay species, and determined the strongest of the Force-sensitives among the planets' populations. 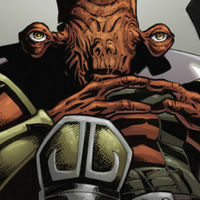 In 25,793 BBY, Xesh led Tul'kar and his forces to the planet Tatooine, which Tul'kar's forces conquered and captured many of the native Kumumgah. - Tul'kar: "Primitive, these creatures. Worth the journey, Xesh? Worth it to me?" - Xesh: "Yes, Predor Tul'kar." - Tul'kar: "I sense little worth reaping in the... but I wouldn't. This is why I have you, yes, Xesh?" - Tul'kar: You have done well, Xesh. Finding this planet, culling the sensitives. Yes, I think you are the best of the Force Hounds. And you are mine." We don't have a particular way Xesh is to sound. 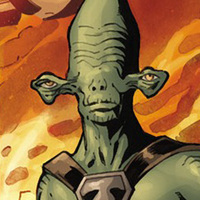 A Human male slave of the Infinite Empire of the Rakata species, Xesh was found to be Force-sensitive and placed in a brood of other Force-sensitive children. Branded with a tattoo of the Aurebesh letter Xesh on his face, upper arms, and back, the boy found a friend in a fellow slave named Trill, and she defended him against the brood leader Yirt when the larger child attempted to attack him. While the rest of the slaves turned on and began to attack Yirt, Trill and Xesh left Yirt at the other slaves' mercy. The two became friends and made blood oaths to protect and not to kill each other. In the years that followed, Xesh and the rest of the brood were encased in the machines of the Rakata, which drew on their strength in the Force to fuel the Rakata's ships. It was then that he first touched the dark side of the Force, his powers unknowingly fueled by the pain, anger, and hate that he felt. These machines and the pain that they caused also effectively stripped Xesh of his empathy, leaving him unable to experience emotions such as love or compassion. One of the Rakata, a Predor named Tul'kar sensed Xesh's power and singled him out from the brood, training him as a Force Hound. Not long afterward, Tul'kar forced him to fight Trill, who was also training as a Force Hound, and the two battled aboard Tul'kar's ship Devourer. Xesh was victorious in their battle, and he was ordered by Tul'kar to strike down Trill with his new Forcesaber. However, in an effort to save Trill's life, Xesh proposed that Tul'kar present Trill as a gift to his superior, Skal'nas, as a gift—but also an insult, as Trill would be less powerful than Xesh. Applauding his slave's cunning, Tul'kar agreed, and Xesh departed the chamber without responding to Trill's calling his name. 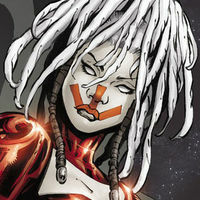 Trill perceived Xesh's actions as a betrayal, and Xesh earned her undying hatred after their battle. During his training on the planet Byss, Xesh was pitted against Isk, a Force Hound belonging to Tul'kar's superior Skal'nas, and Xesh was initially on the defensive against Isk, who was rumored to be Skal'nas's best Force Hound. However, when Isk attempted to use a set of darts against Xesh, the Human picked the darts out of the air as they passed before leaping on the offensive. Xesh was victorious in the battle but refused to kill the defeated Isk when he begged for mercy and a good death in battle. - Xesh: "Yes. I can find this world. I will take you to it and you will feast on its bones." - Xesh: "You meet me with blades drawn and expect me to believe you mean no harm? Liars. You are the enemy! I will fight and die as a warrior! You will NOT feast on my bones!" 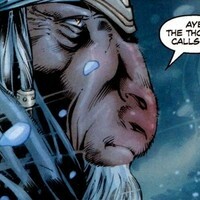 - Xesh: "I am called Xesh, Force Hound of the Rakata. You are meat." Intense line readings, with a striking tongue. Almost like Azula from The Last Airbender. Trill was a Force-sensitive humanoid slave of the Infinite Empire, trained as a Force Hound by the Rakata. 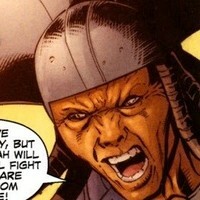 She was a servant of Predor Skal'nas and rival of fellow Force Hound Xesh. She had discovered a planet strong in the Force in the Deep Core, but stated that it was impossible to reach because of the twisting lanes from black holes and stars. Xesh stated that he could do what she couldn't; this enraged her to the point that she attacked him. She was about to be killed by the stronger Force Hound when her master Skal'nas saved her and ordered Xesh to set out for the planet. She will have a larger role in the second half of the series. - Trill: “It will be, my predor. Allow me to take a scout ship, my predor! I will track the Devourer from the spot where it vanished -- by tracking Xesh! The world you seek will be where he is!" Conniving, slithery-like voice. Think Grima Wormtongue from Lord of the Rings. 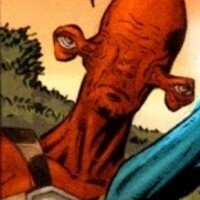 Ore'mun was a Rakatan, a member of a naturally Force-sensitive species whose Infinite Empire ruled the galaxy. The Force-fueled all Rakatan technology, and the Empire accordingly sought out and enslaved worlds whose populations were strong in the Force through the use of Force-sensitives known as Force Hounds. In 25,793 BBY, Ore'mun served the Infinite Empire as a spy for Predor Skal'nas, a Rakatan overlord. Skal'nas dispatched Ore'mun to accompany the subordinate yet ambitious Predor Tul'kar on a conquest of the planet Tatooine, which had been discovered by Tul'kar's Force Hound Xesh. A young angry voice. Almost like little Anakin from The Phantom Menace, but less annoying. 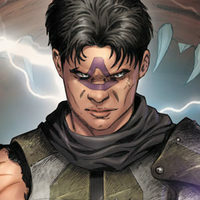 Resi was a male Human youngling who was an initiate in the Je'daii Order on the planet Tython. Born after the end of the Despot War, a conflict that was fought between the Je'daii and the Despot Army of the Despot Queen Hadiya, in 25,805 BBY, Resi had fair skin with freckles, brown eyes, and blond hair. The Force-sensitive boy was trained by the Je'daii Order on Tython, and in 25,793 BBY he and another initiate named Harun listened to Temple Master Ketu teach them about the history of the Order. At the end of Ketu's tale, Resi proclaimed that he hated Hadiya, earning a reprimand from Harun, but Ketu reminded the two children that Hadiya had not been entirely evil. Despite Ketu's admonition that they needed to recognize how they were like Hadiya, Resi stubbornly remained adamant that Hadiya would never be a part of him. A calm yet determined child's voice. 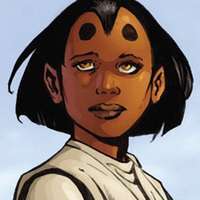 Harun was a female Devaronian youngling who was an initiate in the Je'daii Order on the planet Tython. Born after the end of the Despot War, a conflict that was fought between the Je'daii and the Despot Army of the Despot Queen Hadiya, in 25,805 BBY, Harun had red skin, yellow eyes, and black hair. The Force-sensitive girl was trained on Tython by the Je'daii Order, and in 25,793 BBY she and another initiate named Resi listened to Temple Master Ketu teach them about the history of the Order. Harun scolded Resi for saying that he hated Queen Hadiya, as she believed that hate was wrong, but Ketu reminded her that having only hate or anger was wrong. Angry, fatherly, almost primitive in nature. 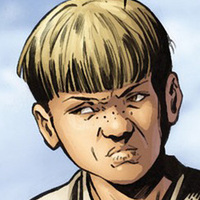 Lonai's father was a male Kumumgah that lived on Tatooine with his son during the Pre-Republic era. He and his son were among the survivors that were brought before Predor Tul'kar and Xesh during the culling of Force-sensitives. When Xesh sensed the Force within his son Lonai and caused his death, Lonai's father was devastated because of the scene and angrily declared to Predor Tul'kar that the Kumumgah would someday drive the Rakata away from Tatooine by fighting back. 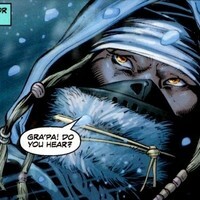 Amused, Predor Tul'kar stated that it was unlikely to occur before shocking Lona's father to death. A Rakatan warrior attached to Predor Tul'kar. The Rakata asks if Tul'kar will answer Skal'nas' summons. Essentially a one line extra. - R. Extra: “Predor Tul’kar…will you obey the command?" For all intents and purposes, he is a one-liner character.